Three generations of optical experience have made Jono Hennessy an established brand worldwide. Originating in Sydney in 1928, founder C. H. Filmer Sceats was the first optometrist in Australia’s capital. Jono Hennessy are familiar with being ahead of their time – in the 1980s, they were creating large, colourful and shapely frames which were not the current trend. These had been overlooked, until they were featured in Vogue and the nations obsession started. From here, the popularity of Jono Hennessy’s extravagant creations increased and they began supplying opticians worldwide. Jono Hennessy is the brand for the customers who aren’t shy about their style. For those of you who have worn glasses a long time and can wear frames with confidence, this is the perfect brand to experiment with new shapes and styles. Jono Hennessy gives eyewear a sense of fun, with innovative new combinations of colour and patterns. To view our range of glasses brands, simply contact or visit your local store stocking the range and our dispensing opticians will be more than happy to help. Why not also book an eye test to see whether your eyesight or prescription has changed? 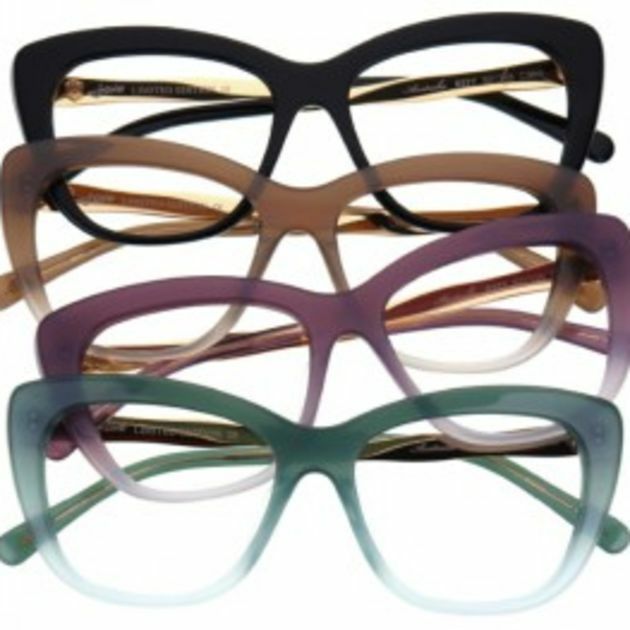 Please note that Jono Hennessy frames are only available in our Marlow and Egham branches.